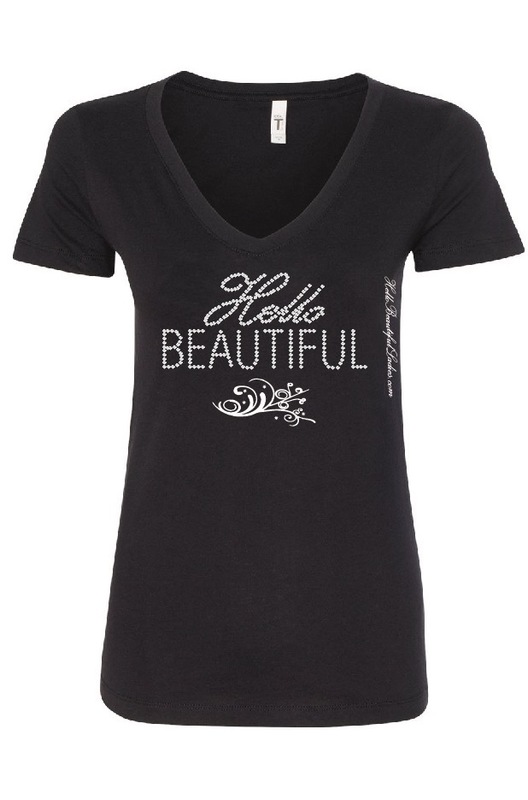 You will love this soft cotton, ladies cut Tee Shirt with Rhinestone embellishments. 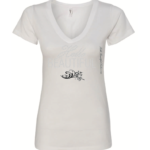 You will want to wear it every day it;s so comfortable. While this T-shirt will not shrink in the wash they do run a bit small. 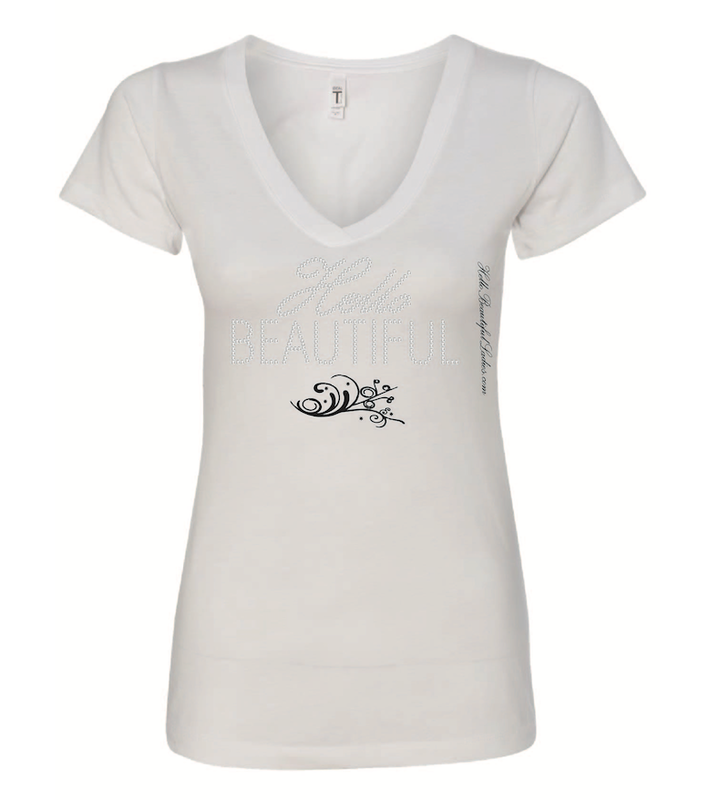 You will love this soft cotton, ladies cut V Neck Tee Shirt with Rhinestone embellishments. 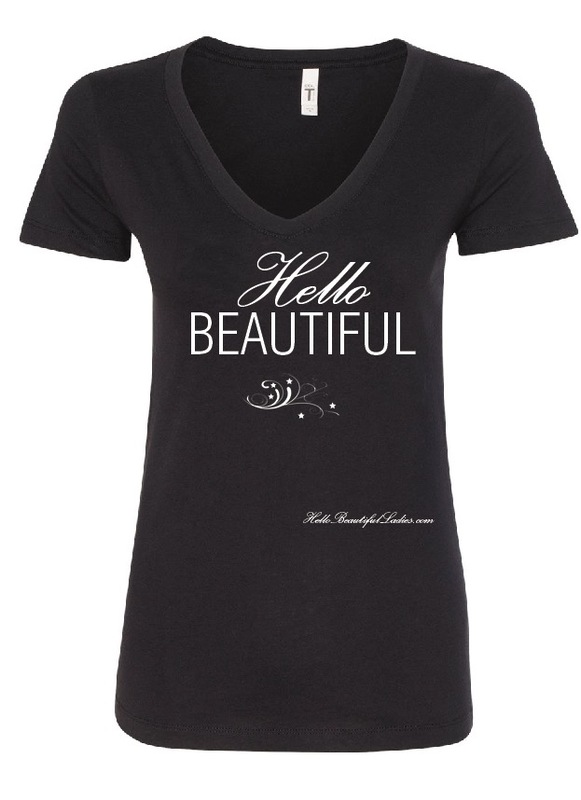 You will want to wear it every day it’s so comfortable. While this T-shirt will not shrink in the wash they do run a bit small.